Approximately 30 minutes out from Milton Keynes, the open cinema at Stanwick lakes will be showing 3 different films over the weekend. Friday's showing is: 'Close encounters of the third kind', Saturday 'Moulin Rouge' and Sunday is 'Mamma Mia'. The outdoor screen is over 7 metres wide, and it's a great location to enjoy an outdoor film experience with friends and family. Bring a picnic and don't forget warm clothes and a blanket or picnic chair to sit on. The doors open at 7.30pm for picnics, and the film will start at around 9.15pm, according to dusk light. Tickets cost £9 for adults and £6.50 for children, pre-booking is essential, click here to book tickets. 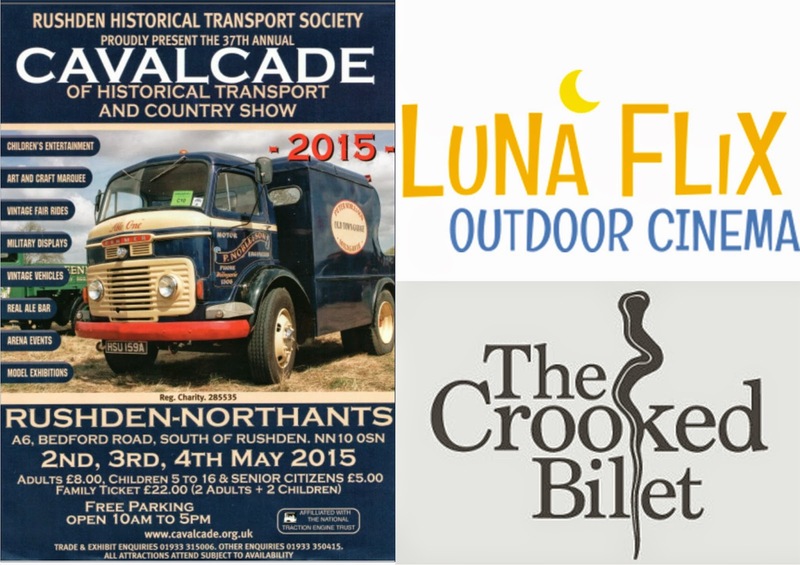 The 37th Cavalcade of historical transport and country show; 'The big rally that starts the season'. Bringing over 1000 different exhibits from all over the country, attracting over 25,000 visitors each year, there's something for everyone to see and do, from tractor engines and vintage vehicles, to funfair rides and trade stands. Entry costs £8 for adults, £5 for children and senior citizens. Family ticket of 2 adults and 2 children cost £22. Free parking available. Saturday 2nd-Monday 4th May: The Crooked Billet Festival @ Newton Longville, every day from 12 midday-10.30pm. The Crooked Billet in Newton Longville are holding their first festival over the bank holiday period, and are hoping to make it a regular feature for years to come. Doors open at 12pm each day, and there will be 2 large marquees so the fun will be happening no matter what the weather. Saturday there will be face painting from 2-6pm, there will be music from cover band 'Inside job' at 2 and 4pm, and from 7pm will be video horse raising in aid of Willen Hospice. Sunday from 2-3.3pm will be John the jazz pianist performing live, and local musician Luke Ford will be performing at both 4.30pm and 5.45pm. There will be a whole evening of comedy entertainment from 7pm, ending at 10.30pm. Hog roast will be available Saturday and Sunday from 3pm, and BBQ will be available all day. Monday will be more relaxed, with background music, BBQ and plenty of ale. Monthly meeting, on the first Friday of the month. Bar opens at 7.30pm, meeting begins at 8pm. Open to any ex servicemen/women of any arm. 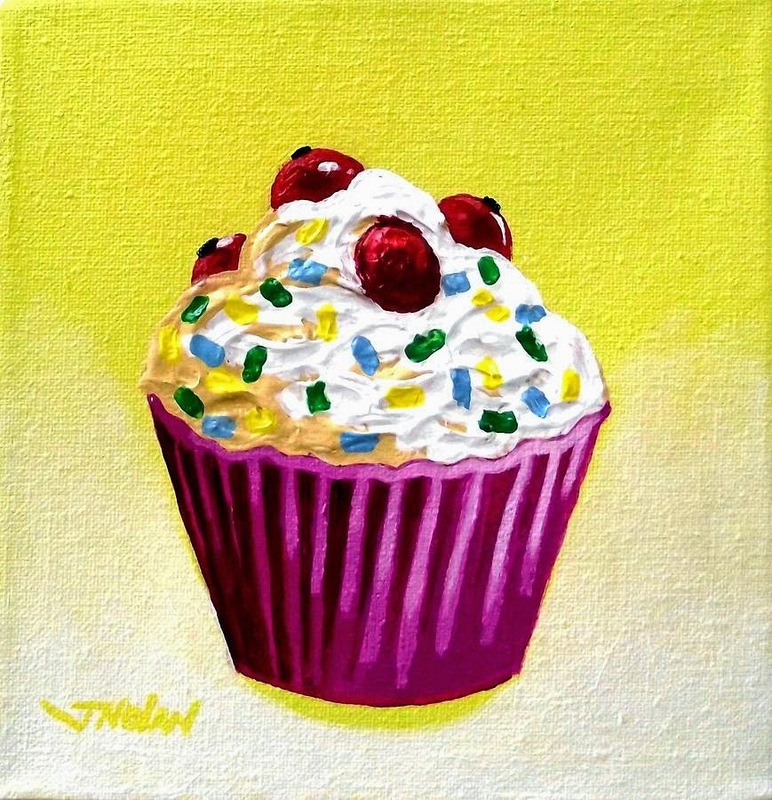 Enjoy a cupcake decorating masterclass with a professional tutor to guide you through piping swirls and hand crafting sugar paste decorations, as well as how to master the iconic butter cream swirl. At the end of the day you'll go home with 6 of your own beautifully decorated cupcakes. The workshop runs for 2 hours and costs £40, pre-booking is a must. The workshop is part of Frosts' gardening and country living workshop series, offering monthly activities throughout the year. Click here for more information and to book. Hashim Akib demonstrates the use of acrylics. Learn some new ideas, techniques and approaches to painting with acrylics. Entry is free for members, £5 for visitors. May Day Festival @ Campbell Park, 12-5pm. The Parks trust annual fair. 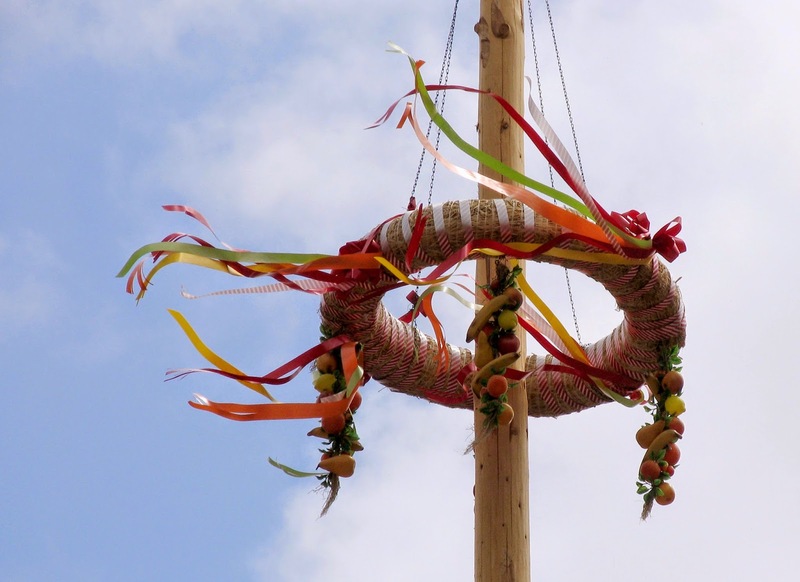 Dance around the Maypole and celebrate May Day. Free fun for all the family including Morris dancing, folk music, children's entertainment, stalls and children's rides. Join the expert ranger for National dawn chorus day, and discover the early morning bird call. Costs £2 per person. Meet at Hanson environmental study centre, Linford lakes, MK14 5AH. Free fun runs for all ages and abilities, with a choice of routes from 2km to 10km. Starting from Willen lake North car park. A great night of music, and enjoying a great selection of drinks. John Hastings and Chris Martin, Edinburgh Preview show. Tickets £5 in advance or £7 on the door. For runners and spectators alike, it's set to be a great day. With 4,500 acres of woodlands, lakesides, parks and landscaped areas within Milton Keynes, it's the ideal venue for a Green City marathon. Why not give bowls a try this summer? Come along and give it a try! Open day. Come and enjoy the bluebells and woodland. Admission is free but donations towards the upkeep of the woods are appreciated. £1 per person entry, teams of a maximum of 8 people. ...Have a great Bank Holiday weekend whatever you get up to! 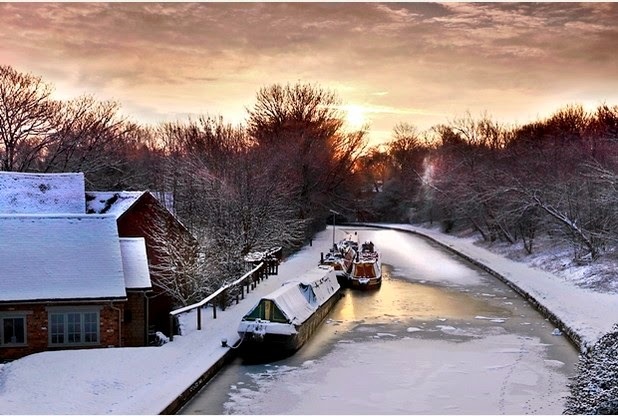 The winner of the Parks Trust 2014 photography competition has now been announced as being Jim Key from Olney, with an amazing photograph of the frozen Grand Union canal in winter. The photograph was taken from the bridge adjoining Stonepit field in Great Linford, and captures the sunrise coming up through the trees. The image is truly picturesque; the untouched snow on the roof of the house and canal boats, as well as the frozen canal, all look so fresh and untouched, it could be a painting. The winning images and all short-listed images will be showcase this June at Milton Keynes Central Library, don't forget to go along and take a look! If you've been in to the Phonebox Magazine office in Stanley Court over the last few months, you'll have seen the box where we collect donations for the Food Bank, maybe you've even popped something in there yourself. 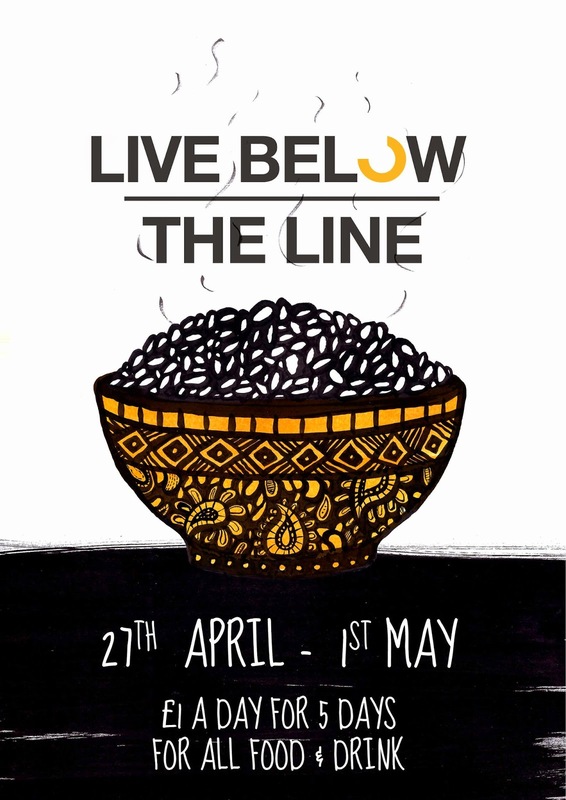 In thinking about helping those who don't have enough food, we thought we'd share an initiative called Live Below the Line, which is taking place this coming week and helps raise awareness and money for those around the world living in poverty. Live Below the Line encourages people across the world to join together in spending just £5 on food for the week. From 27th April-1st May you can get involved and live on just £1 a day for your food and drink, using your experience to help change perspectives and behaviours, and raise money for a cause you believe in. The aim isn't to replicate what it would be like to live in poverty, but rather to help connect you to the issues you're fundraising for and help you understand in a very small way how people living in poverty have to live every day. Potentially leaving you a little less full than usual, it'll give you an even better idea of the injustice that 1.2billion people have to face every day living on £1, as well as helping you to save money. We so often spend so much money on food and drink, and this could be a week of reality-checking how much we really need to be spending on food and maybe donating the savings. Since 2011, people taking part in Live Below the Line have raised over £3 million in the UK alone. To take part in it as a fundraising challenge, you can ask people to sponsor you for the week as well as fundraising and donating the extra money you would have usually spent on food for that week. The Live Below the Line website offers loads of ideas, including recipes, fundraising ideas, school challenge ideas and more, why not take on the challenge and get involved! This one's a busy weekend, and so we've collected a list of 'what's on' for you. Bear with it, it may be long, but is filled with great ideas of what to do, including a great selection to suit all tastes and interests! Bring your own drinks, tickets cost £10. A pop-up cinema offering an alternative film experience. 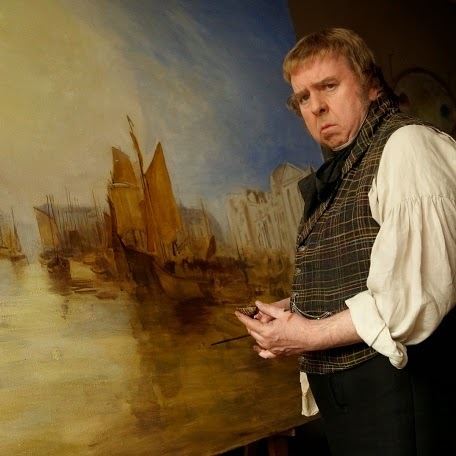 The film is Mr Turner, which explores the last quarter century of the British painter J.M.W Turner (1775-1851). The Sprig of Thyme. Want to sing in a choir? The singers are on the lookout for new members in every voice part. Why not join in for the workshop and see if it's something you would enjoy? You can book a place by clicking here. The theme of the open day is Yardley at war. If you have any information, documents or photographs of the village during this time or anything else concerning the village or villagers which you would like to share, then do bring it along. There is a dedicated cupboard for storing the photographs and document sand the facilitates to help you preserve your documents. Tickets cost £3.50, this is a ticket only event. Tea and coffee available all day. The centre:mk's biggest fashion showcase, with live catwalk shows and great in-store discounts. Find out the trends for spring/summer 2015 and enjoy some exclusive offers from around 30 of the centres shops. Top quality baby and children's clothes and equipment at bargain prices. Opens at 11.30am for NCT members and 12pm for the general public. £1 entry fee. The Great Sherington Garage Sale @ Sherington. All day. Come to Sherington to grab a bargain. Sherington is about to open its garage doors for the first time on mass as a fund raiser for St Laud's Sherington. Come and see what bargains you can find. Pick up a pamphlet from Sherington village shop on Church Road, or from one of the participating garages for £1 to see where all the other garages are. Stolen Hours social club presents the annual St George's day all-dayer. 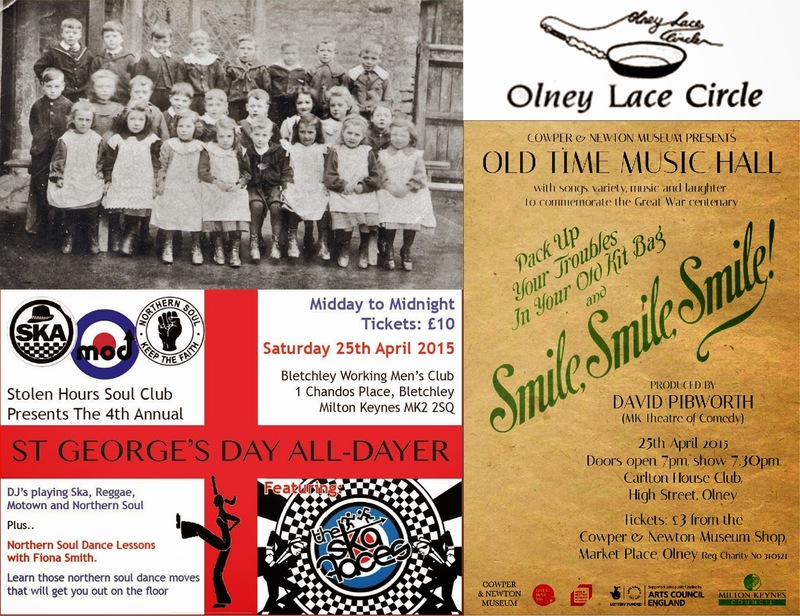 DJ's playing Ska, Reggae, Motown and Northern Soul, as well as northern soul dance lessons with Fiona Smith. An introduction to the parks of Milton Keynes for new dog owners, includes a short walk. Meet at Campbell Park Pavilion. £1 per person. Tickets cost £10 and includes a sausage supper. Teams of up to 8 people, with a prize for the winners. There will be a bar with local ale served. 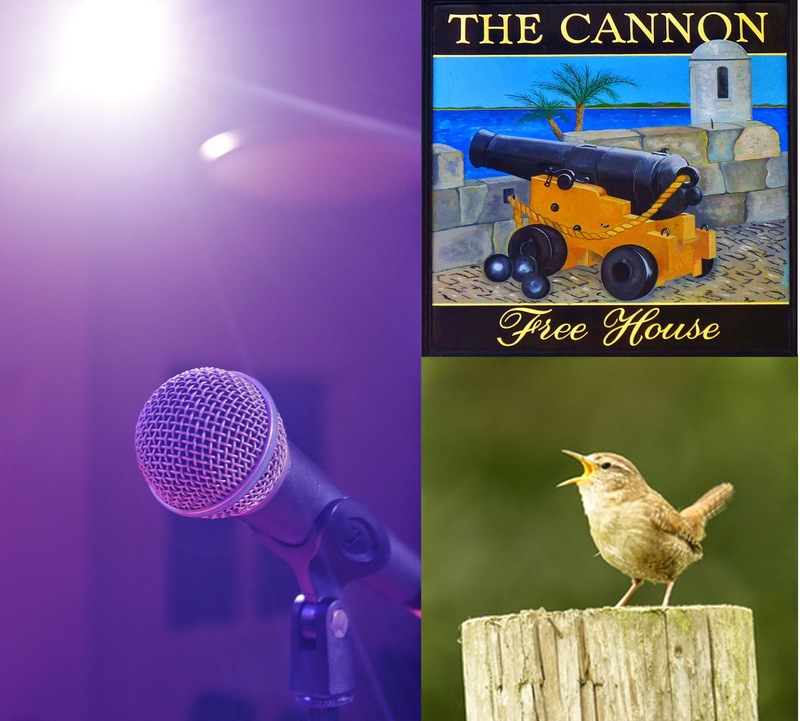 David Pibworth produces a night of songs, variety, music and laughter to commemorate the Great War centenary. 'Pack up your troubles in your old kit bag and smile, smile, smile.' Be transported back in time and reminisce with tributes to great acts such as Laurel & Hardy, Gert & Daisy and more. Tickets just £3, available from the Cowper & Newton Museum shop. Including New Groove Formation, Hammy & Geoff and DJ Andy Attic. Neville Staple is one of the great figureheads of the second wave of British ska in the last 70s. Best known for his work as the singer in Ska and Two Tone legends The Specials, his solo tour features a selection of The Special's back catalogue as well as tracks form his second chart topping band, The Fun Boy Three, as well as reworking some original Jamaican ska classics and showcasing some brand new solo material. Bradwell silver band spring concert and annual awards. The band will perform a selection of music to suit all ages and tastes. Bradwell silver band is proud to support players of any age who wish to learn a brass instrument, with free tuition and instruments. The annual Spring Concert is an opportunity for band members to celebrate and recognise the commitment and hard work of the players and supporters. Discover more about the telephone and the ways in which we communicate. 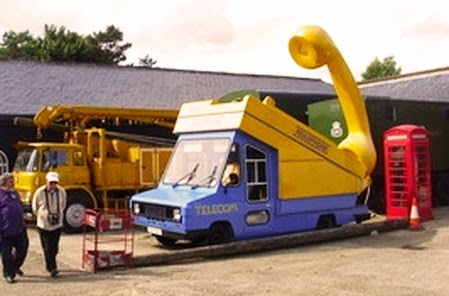 Postal and telephone vehicles from the past 60 years. Working telephones and switchboards will be found in the telephone gallery, Post Office films and videos and working telegraph and telephone equipment will also be on show, as well as the usual museum exhibits. Hand-picked clothes from the six local Age UK shops. Fabulous fashions, jewellery and other accessories for sale on the day. There will be live music, and visitors will receive a goody bag, glass of bubbly on arrival and canapés. Tickets cost £10 or £8 in advance. FUTURISTIC: Lord of the Dance - Dangerous Games is at MK Theatre until Saturday, April 25th. An offshoot of the Michael Flatley-famous Lord of the Dance brand, the Dangerous Games production at MK Theatre has been directed by the iconic dancer. Don't expect him to make any appearances though (he's more of a hologram), but lead dancer Morgan Comer is more than up to the job. I loved the fantastic energy and skill shown by the dancers, especially Comer who held the show together by engaging with the audience. Surely Irish dancing must be one of the most technical skills to learn? The digitalised backcloth enhanced the impressive dancing on stage too. There wasn't much of a storyline, more a series of dances loosely connected, but then that's what everyone is there for anyway. The classic stereotypes of goodie versus baddie were there, but it was a little concerning to see a woman forcibly taken - surely damsels in distress is old hat now? However, I was a little unsure of the Barbie-esque nature of the women, with their long flowing locks, fixed smiles and all round glamour, but then maybe I'm just a little jealous? Personally, a tribute to the dancing's Irish roots would have been appreciated, but then this is for a newer audience. There are even cyber soldiers, even if they were a bit incongruous. The encore had the audience on its feet clapping and cheering, a return to its Lord of the Dance roots. The atmosphere was electric. Food delivery is one of the many aspects of life today which just helps make things that bit easier. From your takeaway dinner to your weekly food shop, companies are answering the call of how to shop when people are often so busy. Having the option of doing your grocery shop during your lunch break at work and then having it delivered one evening, can be a huge help and time saver. However, it looks as though the food delivery may have gone too far now... forget 'One Direction', there's a new company working in Milton Keynes called 'One Delivery'. 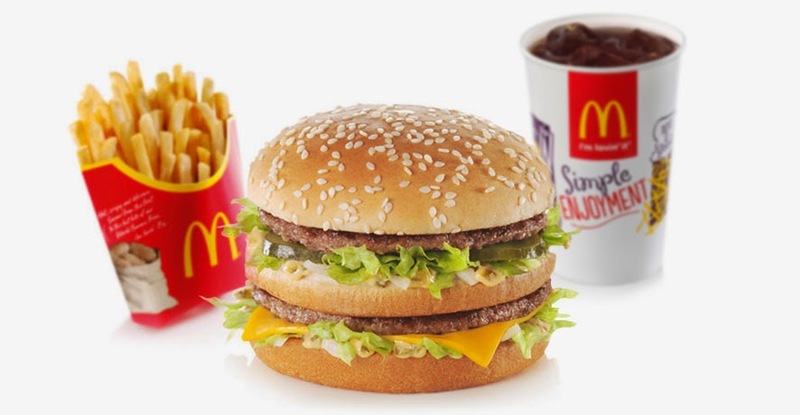 This company may be loathed by some and loved by others, as they offer delivery of fast food which is not otherwise offered, including the likes of McDonalds, Burger King and KFC. They apparently deliver with battery powered bags to ensure the food doesn't get cold en route. It does seem to be the answer for the ever present question of why such places don't offer delivery, but there's also the fact that it is meant to be 'fast food', which generally doesn't fare so well being transported very far. If you're a fan of fast food then this might be great news for you, especially if you don't have a car, but if not then it may sound rather ridiculous. Another local venture doing a similar thing but with much healthier foods, is called Organic Trail. 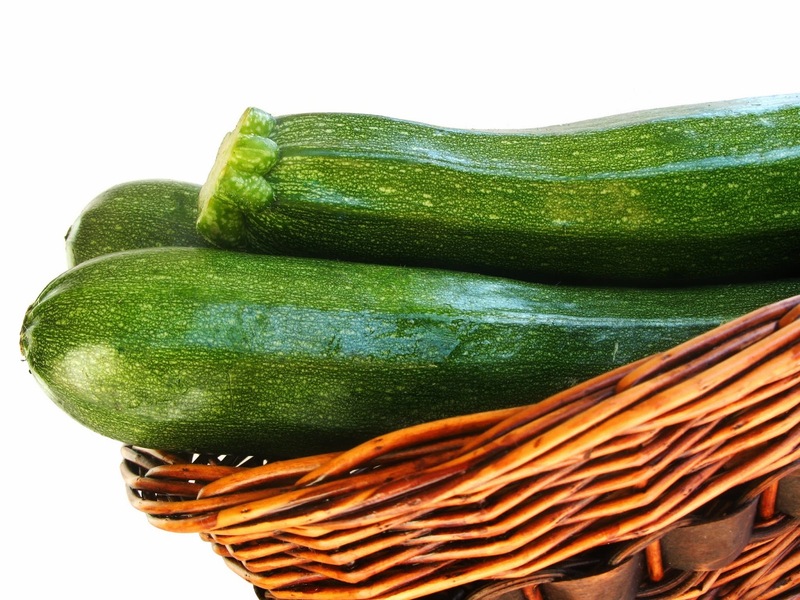 Also based in Milton Keynes and delivering to the surrounding areas, they delivery fresh, organic produce to your door, such as vegetables, meat, fruit and eggs, in a box so minimising packaging and making it even more eco-friendly. So whether you're a fast food fan or would rather go organic, there's something for everyone without even having to leave the comforts of your home. Of course if it's the idea of not having to leave your home that's the perk, why not get growing your own back garden? With the warm weather we're set to be having it should grown really well, and you can't get much more home-grown than that can you! 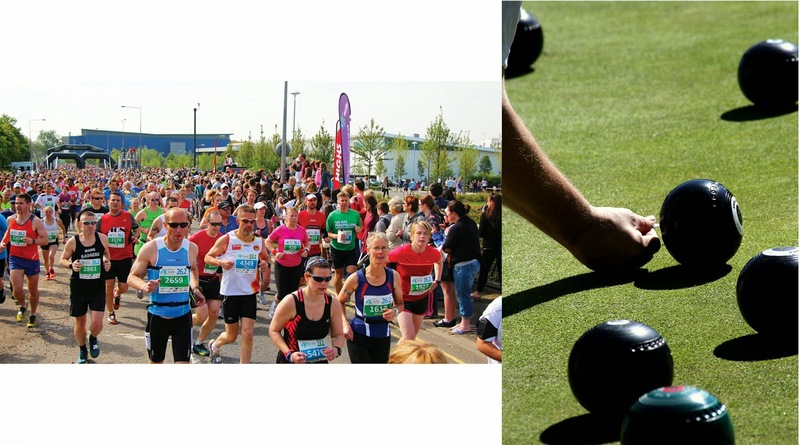 The Milton Keynes marathon and half marathon are now just around the corner, and if you've been preparing to take part you're sure to be well aware of how soon it is coming up. With just just 2 weeks to go, the marathon takes place on Bank Holiday Monday the 4th May starting at 10am, and this is the fourth year it has taken place. As well as the main marathon, there is also the half marathon and then the Superhero fun run, so there's the opportunity for everyone to get involved. If you're not planning on doing the running, then why not head down and watch, or even better, sign up as a member of the event crew. There are two main ways of getting involved as a member of the event crew on the day, and these are either in the stadium area or on the course. In the stadium, volunteers are needed to help with registration, information, baggage, marshalling, rewards and giving out medals at the finish. On the course, marshals will be needed to ensure safety at intersections and direct runners along the right route. As well as these two main areas, volunteers will be needed in photography, for driving and entertainment. If this sounds like something you'd like to get involved with, you can sign up to volunteer online by clicking here. It can be a long and tiring day, but hopefully the sun will be shining and it'll be a great opportunity to get involved in something for the local community. You'll receive a medal for your hard work, as well as a packed lunch on the day and an Event Crew T-shirt to wear. You'll also get a medal at the end of your shift, and an invite to a special Event Crew thank you party, on Saturday 9th May. Milton Keynes through the lens, presented by Living Archive MK in connection with Independent Cinema MK, shows a collection of documentary films made over the last 70 years, as well as a short Olney heritage film. The films will be introduced by Roger Kitchen and will last approximately 2 hours. Tickets cost £4. Held on the third Friday of every month. Get some fresh food from the farmers market this weekend! 'Little prints' allows you to make a hand or foot plaster cast of your child's hand or foot, to have as a keepsake and remember how small they once were! The casts can also be painted before being taken home to display. Tickets cost £9.99 per child and are available by clicking here. Introducing a new wine list. Booked tables only. Springtime creation is an annual event which presents some of the best in the world of arts and crafts. There will be something for everyone, from cakes to sculptures, sewing to fudge and much much more. It's a great place to come and browse, or to find a really unique gift for a friend or family member. Entry is free. There will be a wide selection of previously loved items such as books, toys, games, dvds, cakes, cards, potted plants and more. There will be a raffle, and refreshments will also be available, with homemade soup and fresh bread. Goods will be accepted from 8.30am-1pm and viewing will be from 1-2pm. Proceeds will go to village funds. Ladies and children's clothes swap evening. Come along for a fun evening, and enjoy a pudding and first glass of wine included in the ticket price. Tickets cost £10. The Cowper and Newton museum hold a quiz evening with buffet. Hosted by the regular quiz-masters, Neil and Pat Hodges. Buffet will be provided but please bring your own drink and a glass. There will also be a raffle. 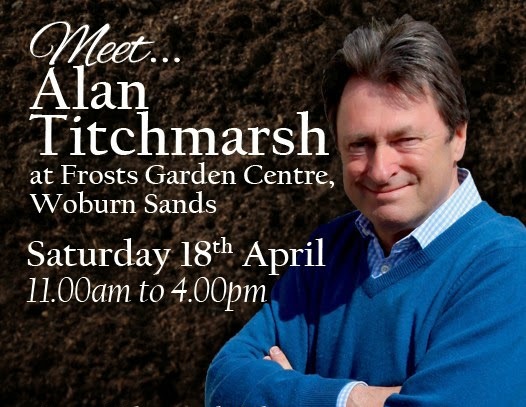 Famous garden writer and television presenter, Alan Titchmarsh, will be at Frosts garden centre this weekend, in celebration of National gardening week. He will be doing gardening talks, a book signing and a meet and greet for fans. There will be two 40 minute talks which cost £5 to attend, one at 11am and the other at 3pm. The 11am talk will be entitled 'Gardening for wildlife', and the 3pm talk will be entitled 'Small garden secrets'. Each will be followed by a Q&A session. All money raised from the tickets will go to the local charity, Supershoes, which aims to bring hope and a smile to seriously ill and disabled children. Home composting workshop @ The Hanson Centre, Wolverton Road, Great Linford, 10am-12pm and 2-4pm. If you're new to home composting or want to learn more about it, come along to the free workshop this weekend and find out more about disposing of fruit and vegetable waste. This is a free event, booking is essential and you can book by clicking here. Enjoy a day of 1940's glamour, and learn to style your own hair and makeup to achieve that iconic 1940's look. Create a fresh and versatile spring-time do. You will learn how to create some iconic styles, such as the famous victory rolls, and makeup to match. 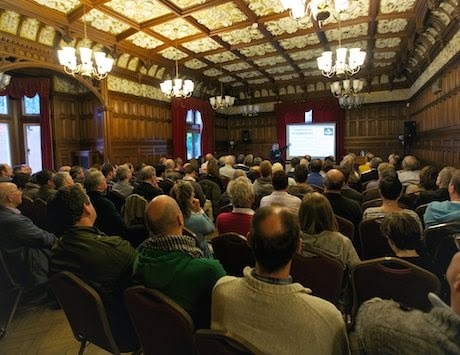 The day includes demonstrations, practical sessions, food and refreshments and time to enjoy Bletchley Park. Tickets are £70 per person and must be booked in advance, click here for more information. If you love the movie Frozen, it's a great opportunity to join in the experience at MK Theatre this weekend. Come dressed as your favourite Frozen character, and sing along with the lyrics on screen. There will be a live host who will show you how to use your interactive fun pack and judge the fancy dress competition. Tickets are available here. Learn how to use a map while having fun out in the parks. Run by South Midlands Orienteering club. Open to beginners, more experienced orienteers and runners alike. No need to pre-register, just turn up on the day. There are a selection of courses available to suit all needs, from a 2.5k amble to a 7k run. A great opportunity to try something different and enjoy the outdoors at the same time. Parking is available in the public car park on Merlewood Drive, Tattenhoe Street. Entry costs £5. Victor Madeira talks about his book: 'Britannia and the Bear- The Anglo-Russion intelligence wars, 1917-1929.' Victor is a lecturer in National security and intelligence studies at the University of Buckingham, and has 15 years experience in international security affairs. The talk will be followed by a question and answer session, and then tea and cake will be served, followed by a book signing. Guests can explore Bletchley Park's exhibitions from 9.30am. Tickets cost £25, or £20 for season ticket holders. Strictly fantastic - Vincent Simone and Flavia Cacace star in Dance 'Til Dawn at MK Theatre until Saturday, April 18th. Strictly Come Dancing has drawn in millions of viewers for more than a decade, thanks to its glittering costumes, complicated routines and dazzling professional dancers. And the Olivier Award-nominated Dance ‘Til Dawn is an evening of delight for any fan of the show, as Flavia Cacace and Vincent Simone take audiences on a trip to 1940s Hollywood. It’s a simple story, with a couple of memorable one-liners, set in the middle of a film shoot. The leading man is murdered and a romance blooms between the star Sadie (Flavia) and her lover Tony (Vincent). But really this West End production on its UK tour is all about the dancing. Stylish, humorous and spectacular, it’s difficult to tear your eyes away. Making a beautiful couple, the star pair didn’t put a move wrong on Monday evening. The chemistry between them is palpable, and that’s the beauty of seeing it live instead of on TV. There is great support from the other performers, including Teddy Kempner as the detective and Abbie Osman as Lana. The live orchestra was a wonderful touch to an already fantastic performance. And their famous Argentine Tango routine is not to be missed. Milton Keynes is growing fast, and as we've recently shared, there are increasingly large numbers of houses and schools being built across the city. 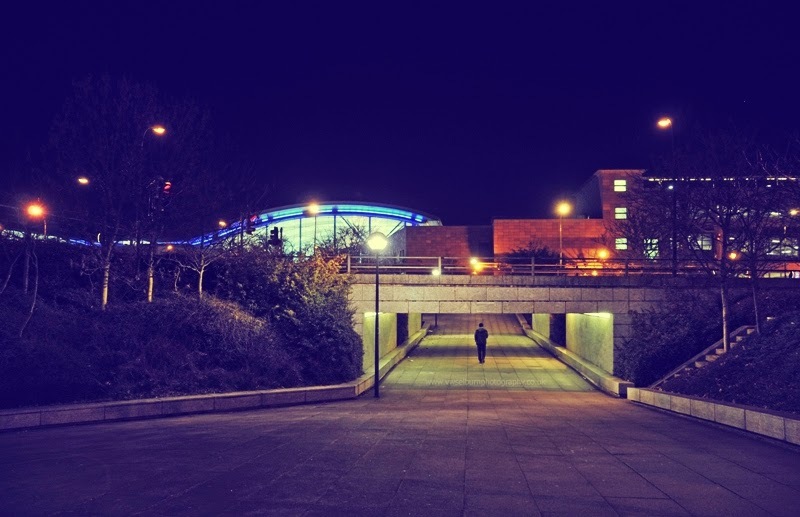 With this expansion and growth, it could seem that the older areas of Milton Keynes have been forgotten, but a recent announcement shows this is not the case. £600 million has been pledged to give seven estates in Milton Keynes a facelift, with thousands of homes in areas classed as deprived set to be either demolished or regenerated. Showing that the older parts of the city are not being forgotten during the city-wide redevelopment work, the programme, titled 'RegenerationMK' aims to provide the city with better housing and public space. 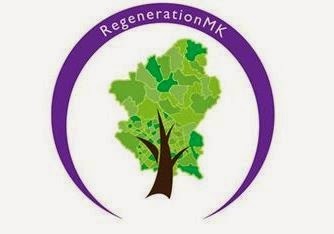 Regeneration MK aims to stop areas of Milton Keynes from being left behind during it's redevelopment, so that all will benefit from the work, not just those who are able to afford to buy a brand new house. The areas included in this redevelopment phase include: Netherfield, Coffee Hall, Tinkers Bridge, North Bradville, Fullers Slade, the Lakes Estate and Beanhill. These areas were all built at the centre of the city around 45 years ago when Milton Keynes was first formed, and many were designed by award-winning architects. However, many of these homes have not been built to last, and so therefore it has now called for a huge renovation. Some people will be offered brand new homes while others will have work done to improve their current place of residence. While this work will undoubtedly take months, or more likely years to complete, it's good to hear that with all the work being done to expand the city, the original areas aren't being forgotten anymore. Milton Keynes' Redways and underpasses provide a safe way of travelling around the city without having to cross the busy grid roads. However, when it comes to night time, it seems that many people are risking the dangers of crossing the roads rather than using the Redways, as a result of not feeling safe enough using them. Milton Keynes Council has joined with MKWeb to launch the Walk Safe campaign. The idea is to encourage people to use the Redways, and to help make them feel a bit safer doing so. 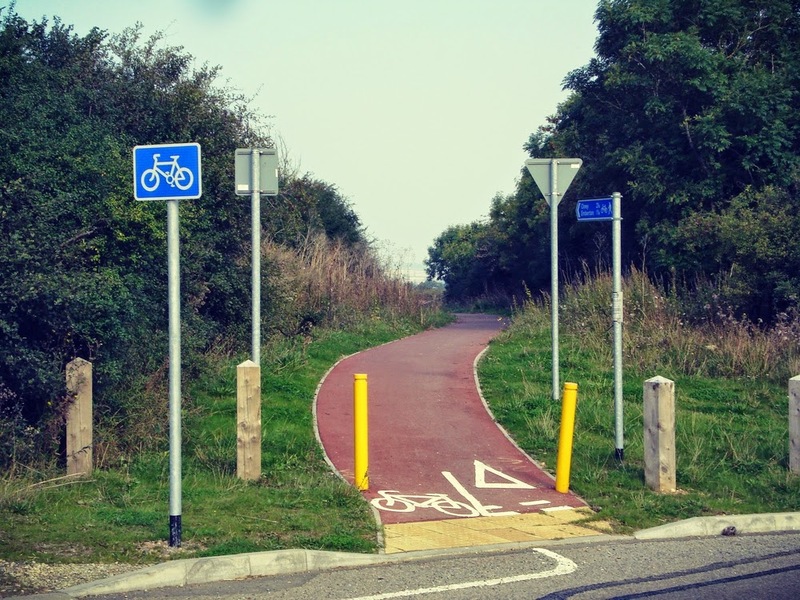 Plans include educating children about how Redways are safer than crossing the roads and making the routes to schools more interesting, to try and get younger children into the habit of using Redways and underpasses for both school and leisure. MK college art students are being enlisted to help make underpasses brighter and more colourful. New LED lights have recently been added to all underpasses, and vegetation has also been cut back, all in a bid to help make the pathways clearer and help people feel safer. Other problem underpasses, such as the Bletchley station underbridge, will be targeted to help make them feel safer and encourage people to utilise them, with the Bletchley underbridge having new lighting installed, helping pedestrians feel safer. This campaign and the work surrounding it is a great cause, and more needs to be done to educate and encourage individuals in using the Redways and underpasses safely, rather than risking their lives on the dangerously fast roads, which have already had far too many casualties. A new exhibition opened earlier this week at MK gallery, to showcase a selection of artwork from prisoners for the next month. The theme of the exhibition is 'Transformation'; showing the transformation in the physical sense in terms of how the material has become an art piece, but also in the sense of how getting creative has helped the prisoners improve their lives. The exhibition highlights the positive and important role that education plays in helping to shape and change lives for the better. 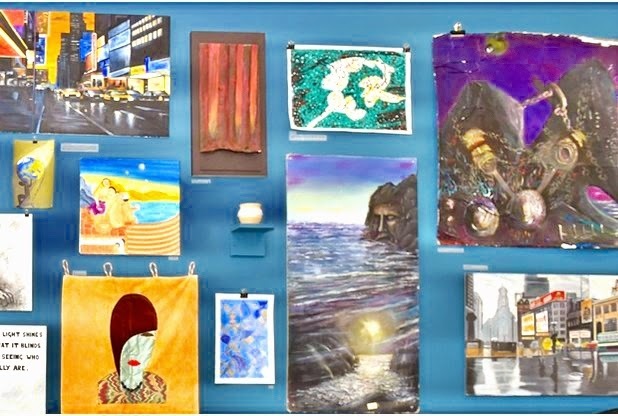 The artwork has been produced by Milton Keynes Offender Learning and skills students, from HMP Woodhill, HMP Springhill, HMP Hewell, HMP Sudbury, HMP Bullingdon, HMP Grendon, HMP Huntercombe and HMP Long Lartin. The exhibition is free, and on the 17th and 24th April it will be manned by MK College Offender Learning staff who will be able to provide further information, detail and background to the work on display. The artwork has also been made into a book. 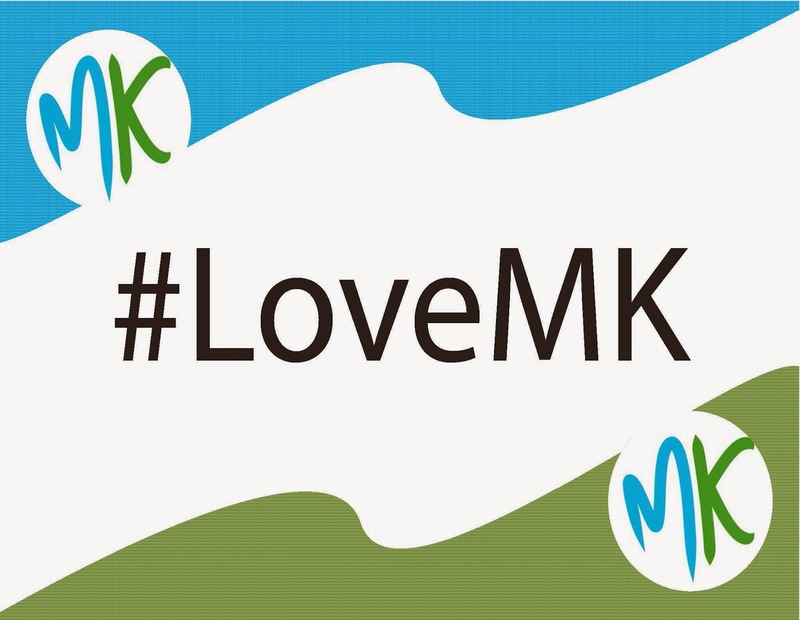 Come along to MK Gallery this month to have a look at the artwork and find out more. If you're looking for a way to spend the last weekend of the Easter holidays then look no further. With temperatures set to soar this weekend, we've got loads of activities you can get involved with to get out and about, enjoying the sunshine and the last of the school holidays. Juliette Orton creates beautiful pictures using many different materials. She shows how they are made and where her inspiration comes from. Those keen to try can also have a go themselves. Entry is free for members, or £5 for visitors. This is the second day of the Easter experiences, where you can take part in a 1 hour activity and off-road thrills ride for £25. Suitable for adults and those aged 12 and up. 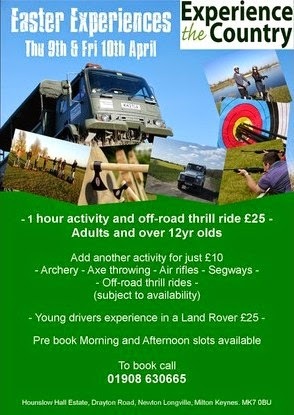 Add another activity for just £10, including archery, axe- throwing, air rifles and segways. Also available are young person's driving experiences in a Land Defender of £25. Morning and afternoon slots are available and must be pre-booked. Call 01908 630665 to book. Fundraising dinner dance in aid of orphans affected by Ebola in Sierra Leone. The money raised will support an existing orphanage in Sierra Leone which is already looking after children whose parents have died during the Ebola crisis, and also to help bring light to the lack of medical equipment and diagnostic materials available in Sierra Leone during this time. Tickets cost £50, and includes a three-course meal, entertainment and much more. Auction and raffle also available. Dress code is black tie/traditional. Click here to buy tickets and for more information. The No 38 Vintage Emporium on the High Street in Newport Pagnell is celebrating being open for six months. There will be special events all day, including live music, free ice creams from the Shake 'n' Scoop ice cream shack, and a photo booth taking old fashioned style photos. 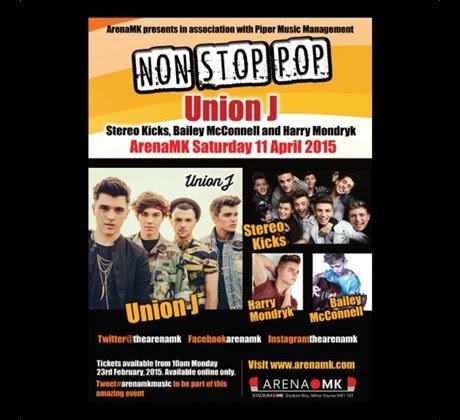 Headliners Union J will be joined by Stereo Kicks, Bailey McConnell and Harry Mondryk. Show will end at approximately 9.45pm. Tickets cost £14 and are available to buy by clicking here. Nick Helm, star of BBC3's hit comedy drama, Uncle, Russell Howard's Good News, 8 out of 10 cats, and winner of Breakthrough Artists at the British Comedy Awards 2014, will be performing in a night of stand up comedy entertainment. Tickets cost £8 in advance or £10 on the door. Marika Hackman with support acts Sophie Jamieson and The Darling Mundaring. Following the release of her debut album, We Slept at last, and new single Animal Fear, Marika Hackman's songwriting speaks adventure; join the adventure for a great night of entertainment from a talented musician. Tickets cost £8 and are available online here. 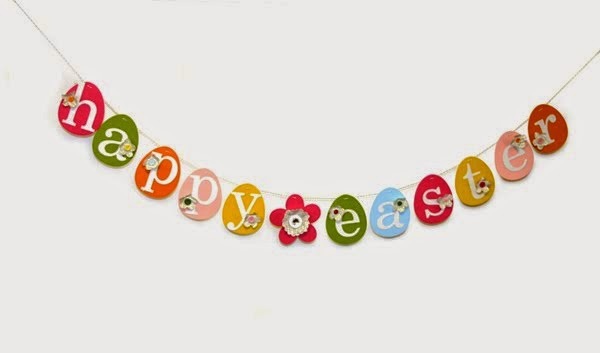 Enjoy some Easter activities at the end of the Easter holidays. Just when you thought all the Easter eggs had been found, come and join the Easter egg hunt and take part in the Easter Bonnet competition. 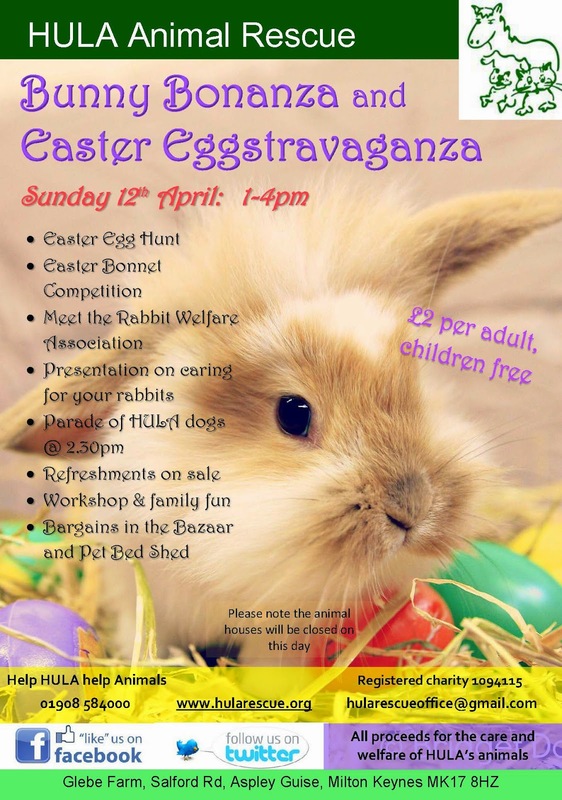 Meet the rabbit welfare association and see a presentation on how to care for your pet rabbit. There will be a dog parade at 2.30pm, workshop, and family fun and refreshments will be available throughout the afternoon. Join the Parks Trust education team to celebrate the opening of the new education and visitor centre at Howe Park wood. Parking avaialbe in the car park off Chaffron Way, opposite the Westcroft Centre. Whatever you do this weekend, have a great time! As always, if we've missed any events, please feel free to share them to our Facebook page. "Everyone speaks very highly of the theatre in Milton Keynes"
Robert Webb (left) will be at MK Theatre from today (April 7th) in Jeeves and Wooster: Perfect Nonsense. I felt a bit of a fake waiting for Robert Webb to pick up the phone. Everyone seems to have their favourite moments in Peep Show, and I had never seen an episode. Robert stars as the sarcastic and selfish Jez in the BAFTA-winning show about two dysfunctional flatmates, which is heading into its final series later this year. It seemed his current character is a million miles away from his most famous role, as Robert is currently touring the UK as the brash and energetic Bertie in Jeeves & Wooster in Perfect Nonsense. An adaptation of the P G Wodehouse novels and TV series staring Hugh Laurie and Stephen Fry from the 90s, he has returned to the role following a 3-month stint as the character in the West End. When we speak he’s in a B&B in Canterbury, the morning after their first performance in the town. “I thought the audience were a bit quiet but they were clapping like crazy at the end. We thought, where have you been for two hours?" explains Robert. The actor stars in Jeeves and Wooster. 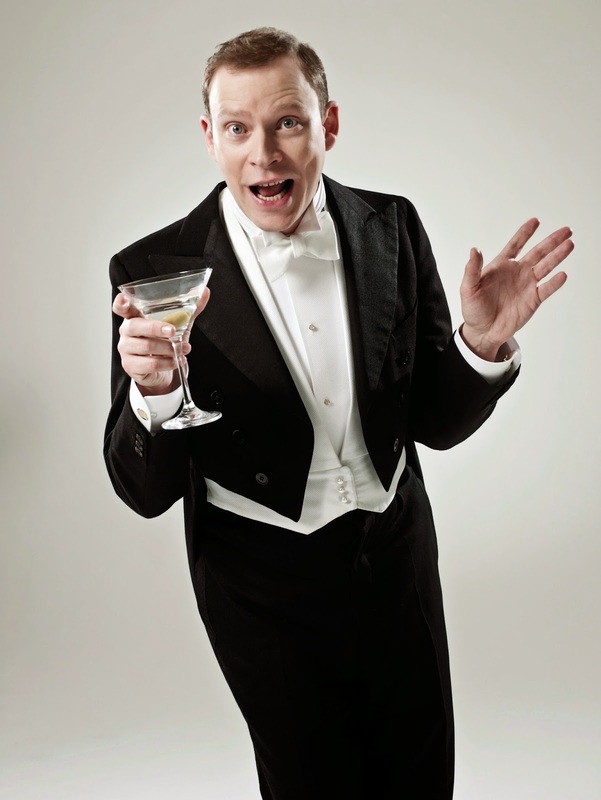 The show follows the aristocratic Bertie Wooster and his dutiful butler Jeeves (played by Jason Thorpes). Having enjoyed four and five star reviews, the Olivier Award-winning production has gone on a national tour. Robert adds: “It’s a lovely part and I’m delighted to get the chance to do it again. Bertie is such a big and energetic part to play and it’s easy to enjoy. If you don’t enjoy it, you’re not doing it right. Performing at MK Theatre from April 7-11, it’s Robert’s first time in the town. Did he take any inspiration from the comedy duo of Stephen Fry and Hugh Laurie? The actor, originally from Lincolnshire, has regularly appeared on stage but is best known for his TV roles. Alongside his comedy partner David Mitchell, who also stars in Peep Show, their BAFTA-winning sketch show, That Mitchell and Webb Look, ran until 2010. Panel show appearances include Never Mind the Buzzcocks, Would I Lie To You? And Have I Got News For You. He’s even currently starring in the Post Office adverts. But acting on stage each night to a new audience is completely different. “It’s lovely to do your job for two hours and then go home,” laughs Robert. “Filming days are long. I’m not moaning, but the bit in-between the acting and cut is only about 15-20% of your time. A lot of it is waiting. You can’t really relax as you will always have a scene coming up. Playing Bertie until June, it’s clear he loves being on stage: “Theatre is great. When you’re doing it, you’re really doing it. When you’re not, you’re not. 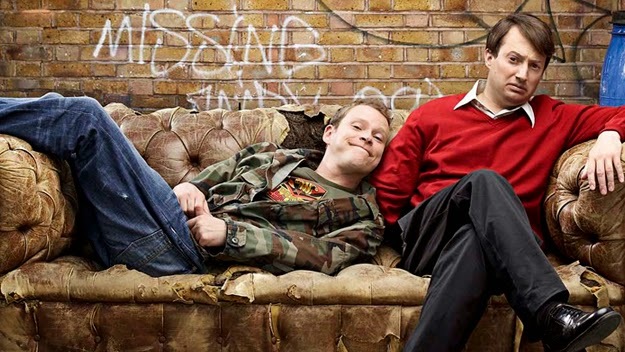 Robert (right) with his Peep Show cast mates. 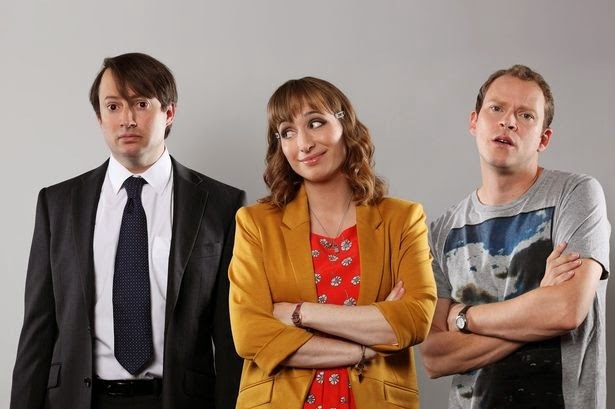 It’s been widely reported that the final series of Peep Show will be filmed later this year, following a three-year break since the eighth was broadcast on Channel 4. For Robert, filming starts in September, following a nice long break with his family. Can he tell us anything about it? (I suspect not). “Nope,” he laughs. You may think this would be a sad ending, but not for fans of the show. The comedian is hugely proud of everything it has achieved too. I better see if I can find a Peep Show box-set. Jeeves & Wooster runs from April 7-11 at MK Theatre. Tickets available on (0844) 871 7652 or atgickets.com. Today is the 8th annual autism awareness day. Autism awareness day aims to help raise awareness of and fundraise to help increase knowledge of autism, highlighting the need to help improve the quality of life for those affected by autism. Recent studies found that around 80% of individuals who have autism are unemployed, so clearly more needs to be done to help and assist people into work. 'Light it up blue' is something which is taking place worldwide today, where landmarks around the world light up blue to raise awareness for autism. In London, Trafalgar square will be lit up to support the cause. 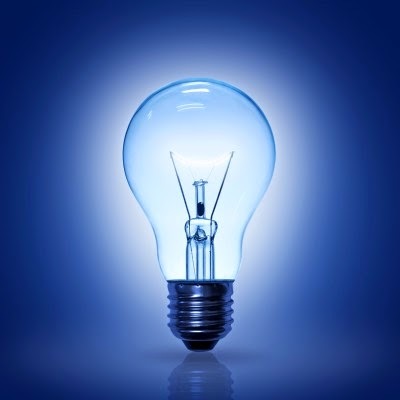 Individuals are also being encouraged to 'light it up blue', at home, in school and in the office, by changing normal light bulbs to blue ones, tinting windows with gel sheets or by covering fixtures with blue gel fixtures. The 'light it up blue' logo can also be stuck up on walls, windows and buildings to help raise awareness. One of the main ideas of the day is to shine a light on autism and all those affected by it, and allow for the conversations to be started surrounding autism. It's also a great opportunity for people to learn a bit more about a topic which is often a bit taboo. Autism is identified as many as four times more often in males than in females. For asperger syndrome, which is a form of autism, the ratio is even higher, with around 10 males to every 1 female diagnosed. While there has been an increase in the number of children receiving autism spectrum diagnoses, rather than mean autism is on the increase, it is more likely that the awareness and diagnosis has improved. Autism currently cannot be reliably diagnosed before the age of 2 years old. Autism affects the ability to communicate with others, and relate to other people. People with autism often struggle in making sense of the world around them. These things can often cause high anxiety. People with autism struggle in social situations, namely with social communication, social interaction and social imagination, although they do like to have the company of others. Some individuals with autism have intellectual impairment, while others are often within, or above, the normal range. Why not use today to brush up on your knowledge of autism, and maybe share that new information with others, to help change the view on those with autism and improve their quality of life. To get even more involved, why not join in with the 'light it up blue' movement, and use the hashtag '#LIUB' to share your pictures or posts. If you are a regular reader of the Phonebox magazine, you'll be aware of the 'upcyced' series, which gives different upcycling and recycling ideas each month. 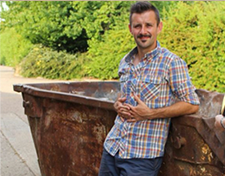 While researching some top ideas for you to try at home, we came across upcycling legend, entrepreneur and TV presenter, Max McMurdo. Max first become well known in 2007 when he appeared on the BBC2 programme, Dragons Den. His pitch of eco-friendly products saw him receive £50,000 to expand his business. 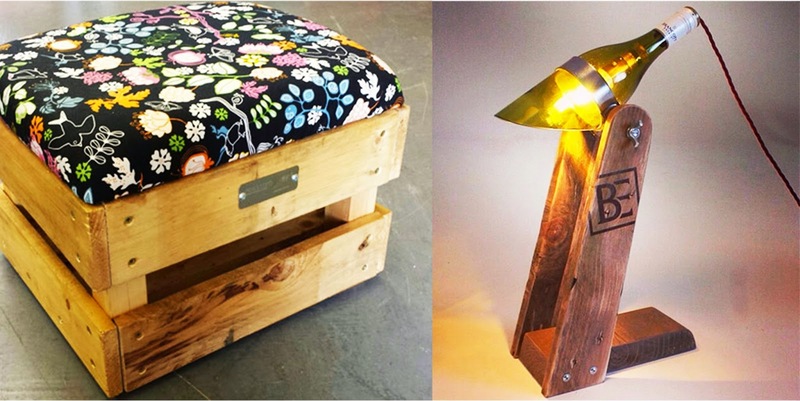 Today, Max designs and creates a variety of upcycled products, with a contemporary and stylish feel while still being eco friendly. Looking at his work, it's inspiring to see how such stylish products can be made out of something old and previously disregarded as rubbish. There's currently a competition which ends today, where you could get an item of your furniture of your choice transformed by Max himself. 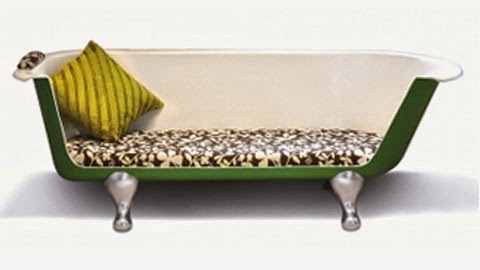 Maybe you want to turn a bookcase into a bench, or you've got an old bath that could become a new sofa, the possibilities are endless. Avoid having to get your DIY skills out, and have it done by a professional! 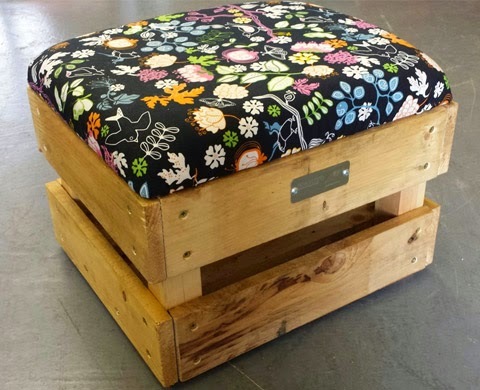 For a chance to win, email a photo of the item you want upcycled with your phone number and information about the item by 6pm this evening, to this email address. This Easter bank holiday there are a range of activities across Bedfordshire, Northamptonshire and Buckinghamshire. 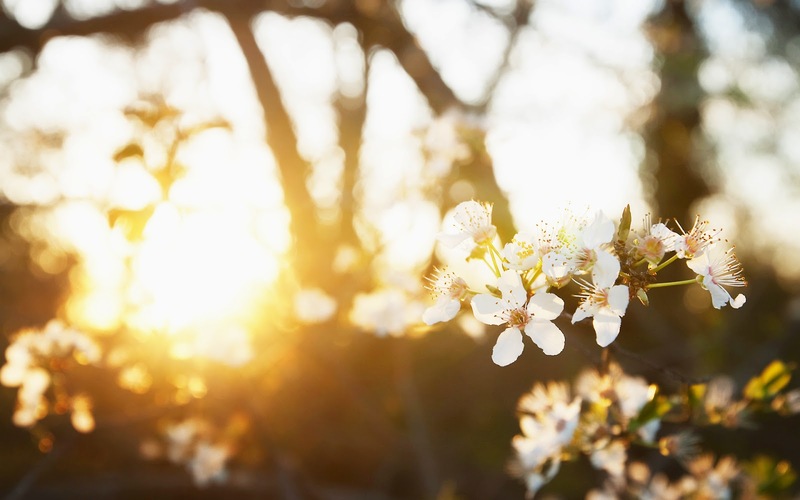 The Easter holidays mean different things to everyone, whether it be a time to eat as much chocolate as possible, a long weekend break from work or an important time in the religious calendar. Fancy getting out of the house? 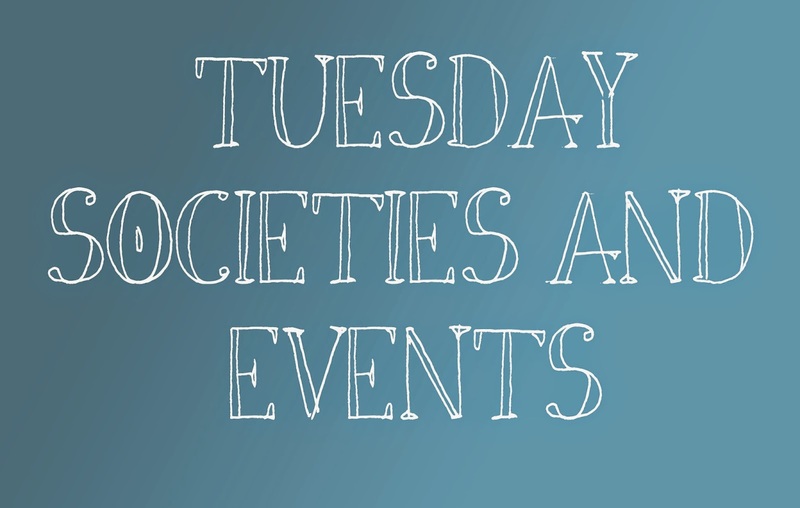 Try these events in the area. 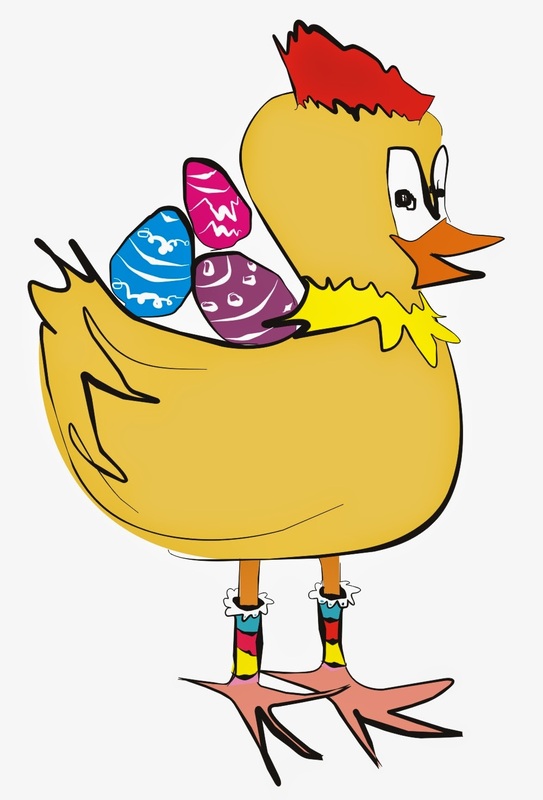 Easter egg hunts are taking place across the country this holiday, and Olney’s Cowper and Newton Museum (01234 711516) is no different with a trail until the 11th, alongside arts and crafts to keep youngsters busy. The clues are dotted around the museum and the centre of Olney, with a prize day for a Paddington Bear toy from Happy Days Top shop. Further down the High Street, The Two Brewers is hosting an Easter fun day on the 3rd, with arts and crafts, a bouncy castle and face painting. Churches Together in Newport Pagnell are holding a procession and open air Service of Witness through the town on the same day. Hot cross buns and refreshments will be served in the Methodist Church afterwards. Easter Day Holy Communion will be held on Sunday morning (Newport-pagnell.org.uk). Children can become spies for the day at Bletchley Park throughout the holidays with a range of craft and Easter-themed activities at the site, including tours, trails, quizzes and collection handling. On the 6th, visitors can hunt for chocolate prizes in the Easter Eggstravaganza. 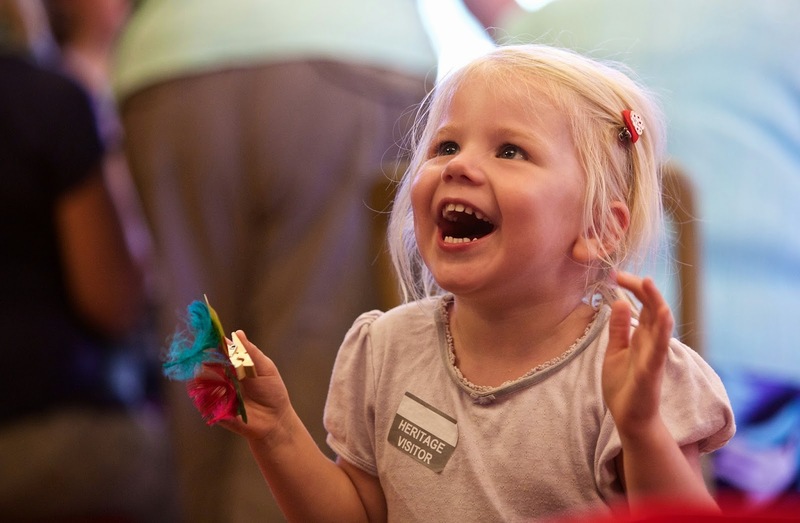 Family Fun Wednesdays return to the site on the 1st and 8th, with under 12s getting free entry (bletchleypark.org.uk). MK Museum will be holding its own Easter egg hunt too (see our feature for full details). Lastly, The Park’s Trust egg hunt may be sold out but they are holding free themed fun and games on the 8th from 10am-2pm (theparkstrust.com). Northampton’s Abington Park Museum have a trail around the site, with treasure hunters winning a chocolate prize, from the 2nd-6th. The drop-in activity is just £1 per person (Northampton.gov.uk). The following day the museum is holding a nature-themed workshop where children can make their own caterpillar. 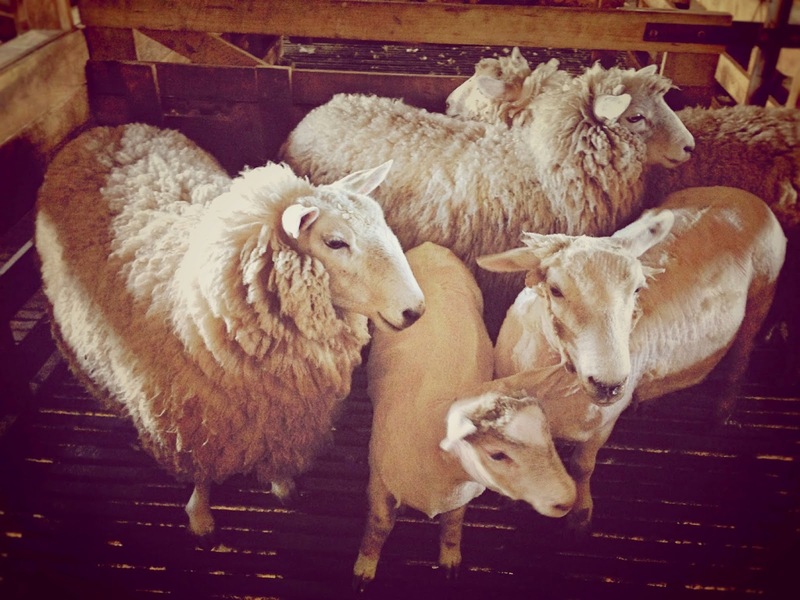 The West Lodge Rural Centre is putting on its own Easter trail from the 4th-6th, with eggs hidden around the farm (westlodgeruralcentre.co.uk). For those wanting to head outside, Santa Pod is hosting the Festival of Power over the Easter weekend with drag racing, jet cars, stuns and air displays (santapod.co.uk). 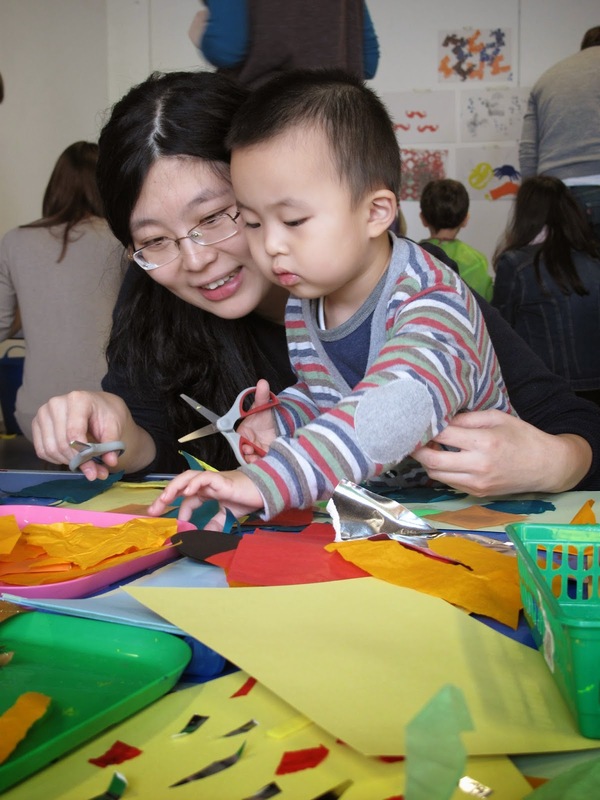 There’s the chance for children to sing, dance, recreate famous artworks and make their own Easter crafts at The Higgins in Bedford during the holidays (thehigginsbedford.org.uk) With holiday activities take place at 11am, 12, 2pm and 3pm. The town’s John Bunyan Museum is also offering a free Easter hunt until the 11th (bunyanmeeting.co.uk/museum). 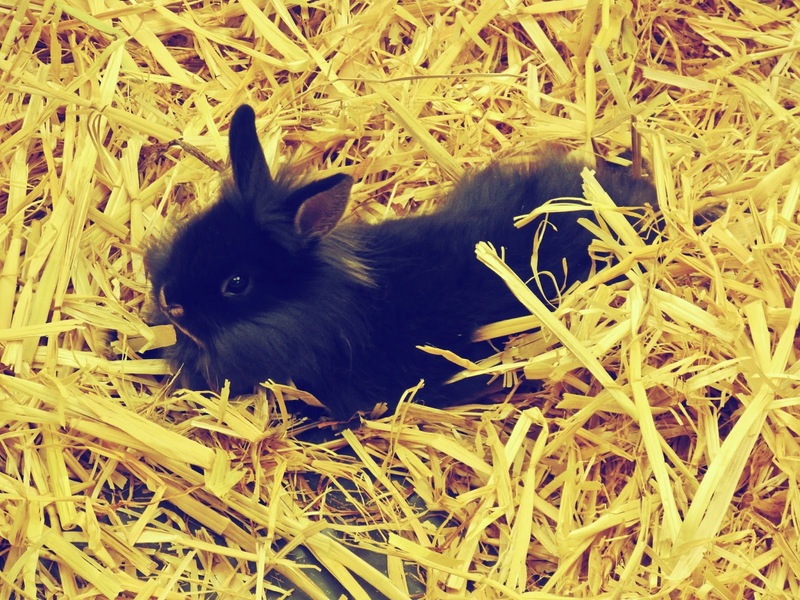 Until the 13th, there will be 25 places throughout Bedford with a picture of a bunny. If you find all of them you can win £100 worth of vouchers (lovebedford.co.uk). Further afield, the Roald Dahl Museum is putting on a range of spring-themed activities for families, including making crackling egg cups and chirpy chicks (roalddahl.com). Anything we haven’t mentioned? Just get in touch on (01234) 713298.